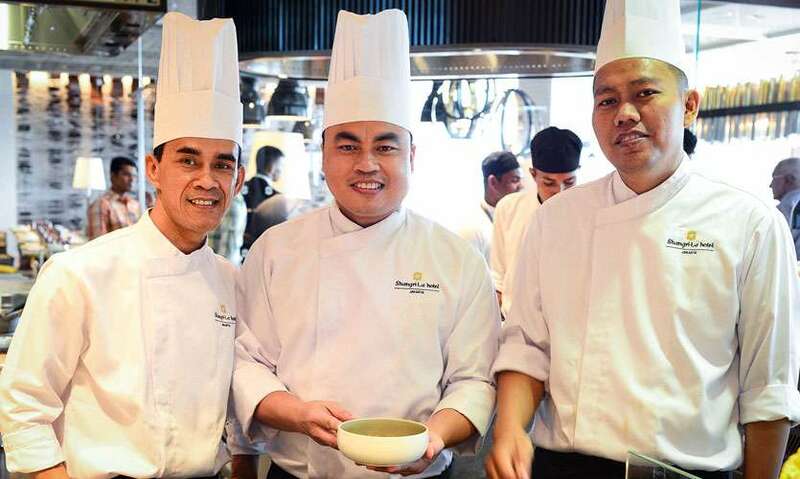 Three master chefs from Shangri-La Hotel, Jakarta, Chef Anton Sujarwo, Chef Meidi Yanto, and Chef Nur Budiyono will be preparing the finest Indonesian delights as a part of the buffet at Table One at the Shangri-La Hotel, Colombo from September 5 – 9, 2018. 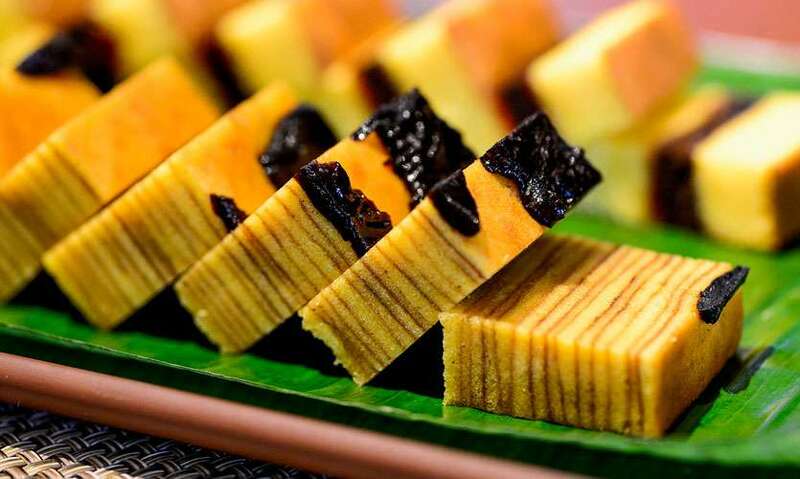 The usual buffet at Table One will feature mouth-watering Indonesian food from starters to mains and desserts. We had a sneak peek into what will be on offer prior to the promotion which will be open for lunch and dinner from September 5 – 8 and for brunch on September 9. We missed out on the starters but slurped up the soup which was ever so light yet delicious Soto Ayam. 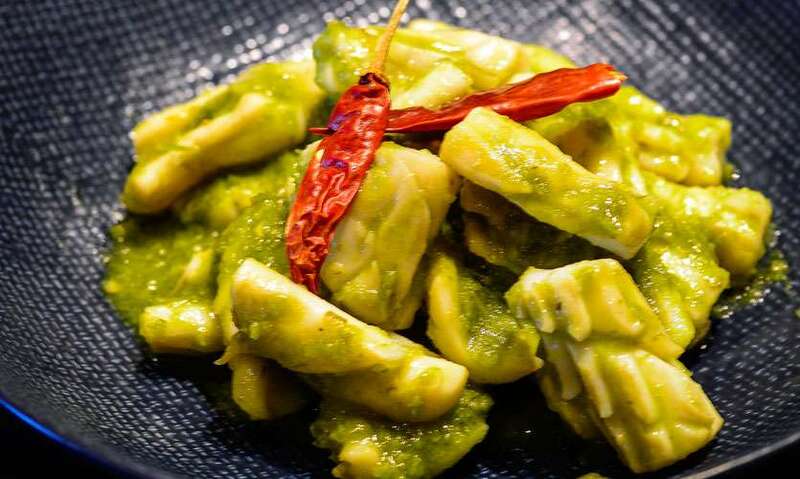 The mellow flavours of this yellow spicy chicken soup gets taken up a notch with a dash of green chilli paste and lime. The mains we tried out at the tasting included the famous and delightful Rendang Daging or Beef Rending. The soft beef and strong flavours go well with a side of steamed rice while the Ikan Colo Colo (Grilled Fish) with Colo Colo Dip was lip-smacking! 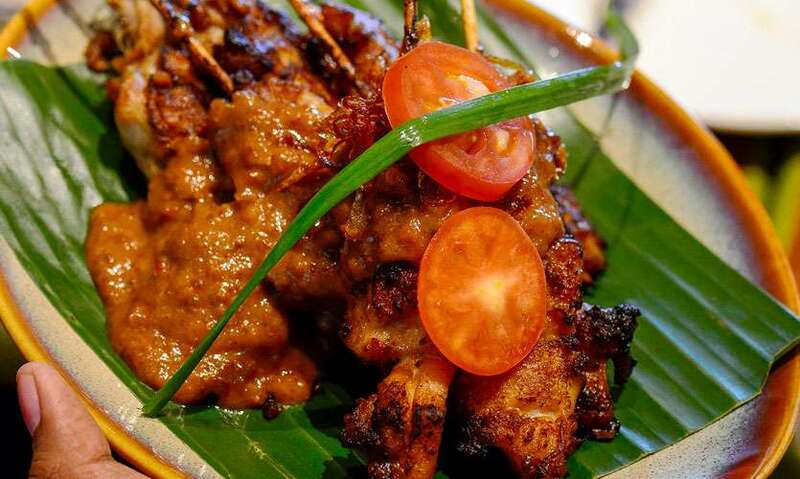 And don’t miss out on the many sates on offer like the Sate Ayam (Chicken), Sate Kambing (Lamb) and Sate Sapi (Beef). 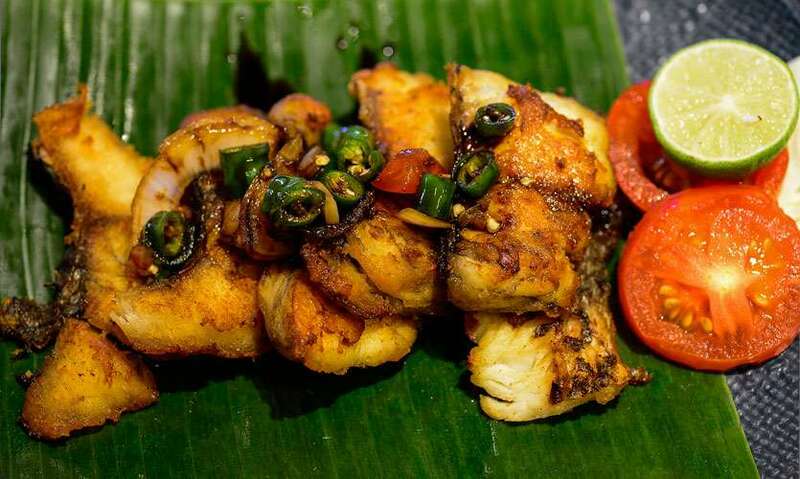 Another dish to look out for in their buffet will the fiery Cumi Cumi Sambal Hijau (Stir Fried Calamari with Green Chili). 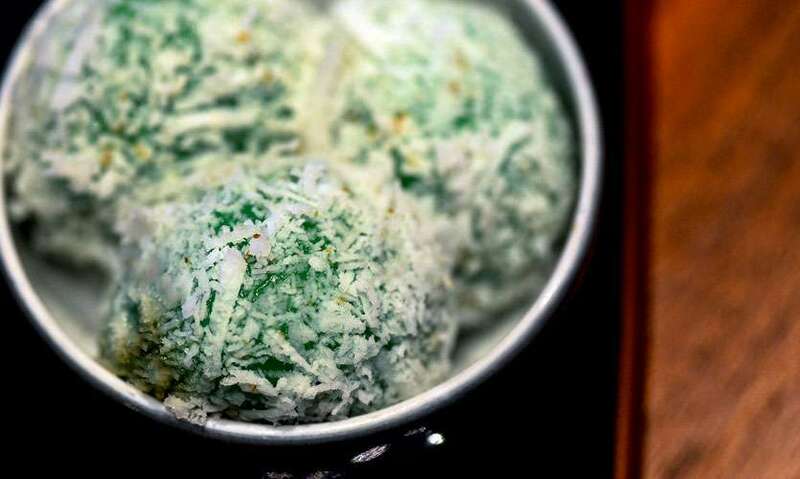 We also nibbled on a few of Indonesian desserts like the Klepon which is a rice ball with a coconut filling as well as Talam Ubi or Cassava Cake. We also quite liked the Onde Onde which is a sweet pandan roll. Tips/notes by author: As a part of the celebrations, guests who dine on this culinary promotion stand a chance to win an overnight stay for two at the luxurious Shangri-La Hotel, Jakarta.